We came to Caprock Canyon State Park up in the panhandle with the intention of seeing the State of Texas buffalo herd. We spent the better part of a day driving and hiking to the various spots where the park rangers told us the animals tended to frequent. However, it was already nearly sunset, and it was looking like that wasn’t going to happen for us. As we made our way back toward the visitors’ center, we had a stroke of good luck. While still not finding buffalo, we did stumble across a prairie dog town. Most people think a prairie dog town is one large unit with lots of connected tunnels and numerous entrances that houses the entire colony. The fact is, the typical town is more like a subdivision full of single family homes. The prairie dog family generally consists of one male and four or five females. (Should I be jealous?) In some cases, there may also be a kid or two living at home till the old man decides they are old enough to make their own way in the world. From the outside, what we humans see is a collection of cute little critters that pop up out of holes, look around, and then pop back down. It is a non-stop frenzy of activity not unlike a game of “whack the mole.” Nothing is ever done, however. They never pick anything up and seldom stray more than an inch or two from the hole. It is just a mass of non-productive up and down energy that we humans find both cute and fascinating. Even if you have never seen a real prairie dog town, you are probably quite familiar with this concept. One need only look around at our fellow humans to see this behavior modeled. Next time you are in a crowded atrium of a large office building, a shopping mall or any place people congregate, watch what is happening. You will see non-stop random movement, constant energy. But what are these people doing? More important, what are they accomplishing? This seems to be a universal trait of the human condition: non-stop frenetic energy spent with little or nothing to show for it. I have been a writer for more than 40 years. 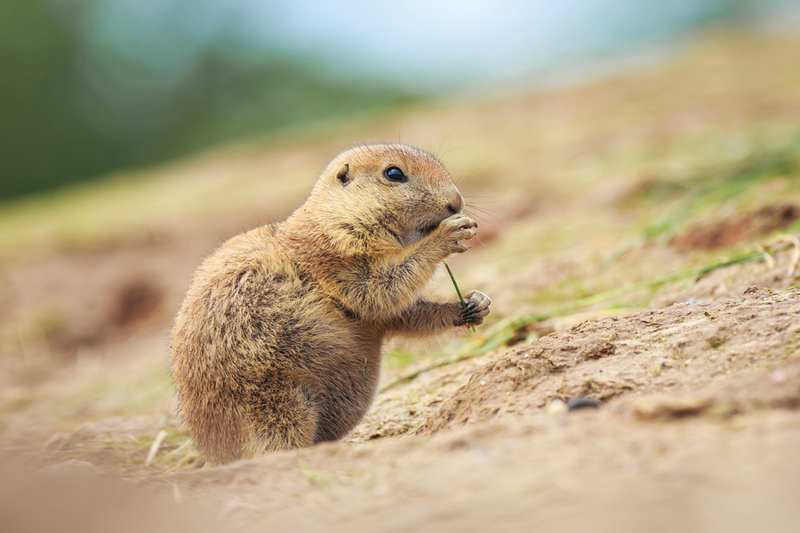 In the early days, my work habits resembled the prairie dogs’. I would begin by writing the first sentence, in hopes that by the time I had it down on paper I’d have an idea for a second sentence. Needless to say, before a piece was ready for publication, it went through dozens and dozens of revisions. In the process, I was particularly bothered by the fact that I often spent a lot of time revising sections that wouldn’t even make it into the final version. It was time and energy expended with little to no result. But, nevertheless, I felt good about it. After all, I was getting something done. But still, I was uncomfortable with the process. I was busy, sure, but was I really accomplishing much with all that activity? It seemed I was spending an incredible amount of time and effort given the magnitude and quality of the final product that was produced. I felt there just had to be a better way. One day, it hit. What if, instead, I did all that planning and revising work in my head while sitting outside in my rocking chair next to the fountain? What if I didn’t get anywhere near a pen, paper or a computer in those early stages? What if I just sat, smoked my pipe and thought? I spent a good deal of time analyzing that idea and, in the end, I was still uncomfortable with it. It didn’t even seem possible. But I found I couldn’t put the idea out of my mind. Its implementation seemed inevitable, so eventually, I gave it a try. I admit it was uncomfortable at first and I felt guilty just sitting around and calling it work. But eventually, it all came together. I began to understand how this work thing is really done. Today, I don’t put a single word on paper until I have the entire piece worked out. I know the beginning, the end and everything in between in great detail. I even know what photos I will use. The result: far fewer revisions and much less time and work expended. Best of all, I can enjoy a certain smugness when I am sitting in the sun with my eyes closed and someone asks what I’m doing. When I reply that I’m writing, the looks I get are priceless. I’m not suggesting there is anything wrong with a “go-get-em” work ethic. After all, in those early years, that process did lead me to some limited success. And today, if a student comes to me with a great work ethic, I can overlook a lot of shortcomings. It takes hard work to get to the point where you start to understand how to do any task well. No one plays concert-level piano on first sitting down to the instrument. But at some point in time, we need to realize that so much more can be accomplished if we just slow down and think things through before we take any action. That not only means less work for the same results, it also makes us less likely to become victims of the calamitous law of unintended consequences. Wouldn’t it be nice if we could teach this to our politicians? Life is a game. We keep score by results achieved, not by effort expended. Most people confuse activity with accomplishment. When judging their progress toward success, they are often measuring the wrong parameter. I now realize it was obvious all along; I just didn’t see it. The secret to success is to work less but accomplish more. While all of that frenetic energy is wasted in us humans, it does have some real value for prairie dogs. It provides us two-leggeds with great entertainment and, after all, the little critters are awfully cute. But frankly, I’m not that cute. You might not be either. And I don’t think entertaining others would be high on my list of goals in life. I prefer to use my rocking chair method. By the way, we never did see the buffalo. I need a tutorial on your “Work Less/Accomplish More” philosophy. Thanks for writing another good article and including a picture of such a cute little critter!